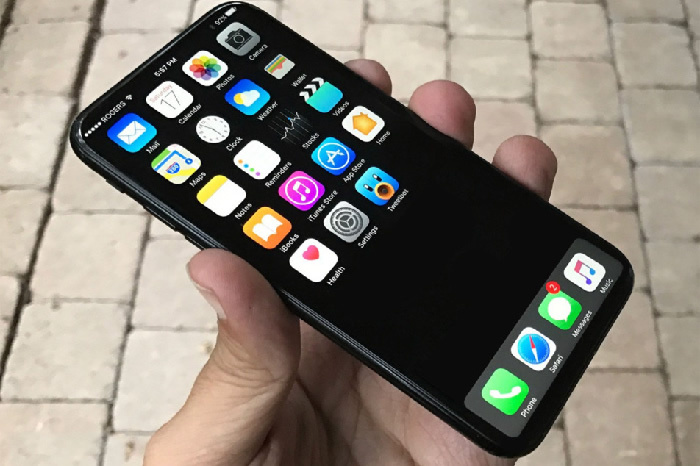 Apple is thought to be developing a few different handsets for the tenth anniversary of its iPhone, including iPhone 7S and iPhone 7S Plus models and maybe even a flagship iPhone 8 model. According to a new report, that iPhone 8 could feature an all-new design and a 5.8-inch AMOLED display. Apple has huge expectations for this flagship device, as it reportedly expects to ship as many as 70 million units in 2017 alone. Thursday’s report also reiterated earlier rumors claiming that Samsung will be the sole supplier of OLED panels for the 5.8-inch “iPhone 8.” It was said that Samsung will be able to supply 20 million units per month, maximum, to Apple for its flagship handset. DigiTimes, which has a so-so record when it comes to leaking Apple news, citing Apple suppliers in Taiwan, claimed that the 70-million figure will be in addition to the smaller iPhone 7S models with 4.7-inch and 5.5-inch displays. The interesting takeaway here is that Apple reportedly thinks the iPhone 8 will be a big hit – and this is yet another report to suggest Apple is working on three new iPhone models rather than the usual two. As for the “iPhone 7s” upgrades, they’re expected to feature LCD panels matching the same 4.7- and 5.5-inch sizes of the current iPhone 7 and iPhone 7 Plus lineup. Less dramatic factor modifications are expected for the “7s” series, mostly in the form of a glass rear casing instead of metal.